As compelling as the new high-resolution audio CD formats are, the sheer mass of music titles available ensures that CD playback will be with us well into the foreseeable future. And with the emergence of digital music formats such as MP3, we can also see computer-based files finding a place with quality audio systems. 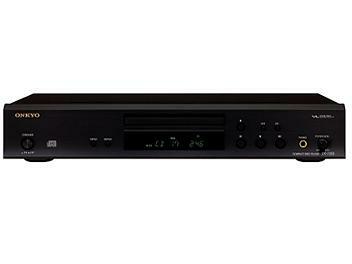 The DX-7355 CD player brings this added dimension to your music entertainment. Look to the fundamental design concepts of separate, audiophile-quality playback components-a precise digital-to-analog conversion section (with a high-quality DAC); a large, well regulated power supply; competent analog circuits; and a vibration-resistant design. You'll find them expertly bundled into the DX-7355 CD player that draws on Onkyo's technical design skill and musical sensitivity.